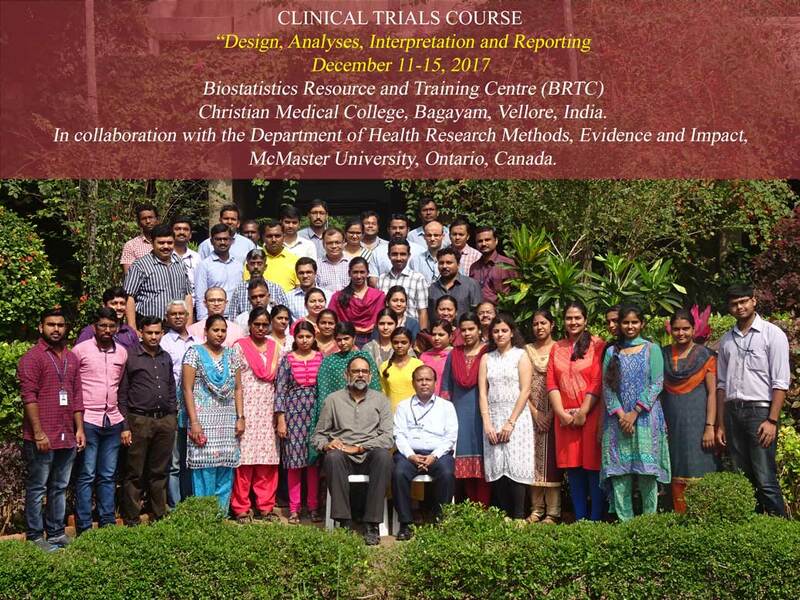 This course is tailored to researchers working in Pharmaceutical Industries, medical, allied health professionals, non-medical faculty and researchers actively involved in trials, or teaching or in furthering their knowledge and skills in methodology. Course Fee should be paid in full by December 02, 2017. Payment can be made by Demand Draft in favour of “Christian Medical College Vellore Association Account “, payable at Vellore. Course fees will not be refunded once the payment is done. Participants will have to bear their own expenses for travel, boarding and lodging. The Organizers will give Course kit, Lunch and Snacks. However the organizers may arrange basic accommodation with A/C facility in the college campus on request. Only limited accommodation available in the campus and priority will be given to the female participants on first come first served basis.